I don’t know. I feel a deep sorrow over the loss of lives in Connecticut. Over the grief that the living will have to endure. I feel it deeply because my own son is in first grade, age seven, the same age as the children who died. I imagine losing him and every single classmate and his teacher and all his aides and principal and having find a way to endure. The last time I felt such sorrow was after 9/11; the stories then were of children losing parents. One difference between then and now is Facebook. There was no such thing in 2001. I am amazed at the range of reactions among Facebook friends. Some are calling for more gun control. Some are calling for more guns. Some are posting statements about God being kicked out of schools. Some are calling for mental health reforms. More school security. Something. Anything to think that this could be prevented from happening again. This microcosm of the un-famous in social media is playing out on a larger scale among the famous and infamous. Morgan Freeman, Victoria Jackson, Mike Huckabee, Jaime Foxx, have all weighed in, all over the map. I tend to think that times of desperation make us cling harder to our existing beliefs. We want someone to blame, something to cling to, something to reassure us, someone or something to hate. My own wish is to go back to basic belief in mindfulness. I am a Buddhist, in outlook at least. I’ve never been to a temple or meditation group, unless you count Second Life. But I agree with the basic outlook. The starting point for Buddhism is that everyone suffers. It is a basic condition of human existence. Rather than wallow in nihilism, though, Buddhists use common suffering as the wellspring of compassion. Compassion is understanding and genuine concern for others. The basic formula for compassion is that because everyone suffers, everyone is like me in that regard. As I have suffered, so has everyone else. The external circumstances of our suffering are less important than our reactions. Like everything else in my life, I am sporadic with my mindfulness practice. When I am on track with my practice I act with wisdom and compassion. When I’m not, I am gossipy, I tend to isolate myself, and I am crabby and overly sensitive to criticism. I couldn’t hack all the parts of the Ph.D. because of my AD(H)D, but I also felt that I could not live my life in a permanent state of outrage. While I tend toward liberal politics, I do not tend toward those who would fight intolerance with their own intolerance. While I do not share the socially conservative point of view in America, I do not participate in the demonizing that goes on among many of my acquaintances of that point of view. The Other is that which is not the same. On a personal level, the Other is about who is different from the self, and on a group level, it explains the difference between our in-groups and out-groups. What separates the self/same from the Other is “difference.” How we account for that difference is a political statement, in that it empowers certain ways of thinking or being and disenfranchises other ways. Exploring this thinking is one way to define critical thinking, and some people call it identity politics (though that word’s come to be used negatively). An example I use in class is to ask the question “Why are poor people poor?” Simple answers are always deeply political. If one says because they are lazy, then it follows that one would be against social safety net sort of programs. If one says because they are disciminated against, then it follows that one is in favor of such programs; that answer attributes the reason to circumstances rather than character. The truth is always more complicated than any simple answer. When we provide a simple answer, though, we are essentializing, or reducing a complicated and varied situation to a simple “essence.” That’s the basic mental mode of stereotyping and discrimination. The “essence” of being poor in the above examples is either laziness or discrimination. A more honest view would say that some of both are true. There are poor people who are lazy (just like in any other class of people) and it’s hard to deny that there is systematic discrimination as well. There are a thousand other factors too. Anyway, one flaw, as I see it, in much of critical theory is that it always employs this critique in defense of the powerless at the hands of the powerful. While that’s an important area of work, the equation is almost never reversed. In other words, few people who do this work ask “Why are rich people rich?” with the intent of providing a complete answer. (The pejorative for this contradiction is the Mercedes Marxist). Put another way, plenty of people I know who would go to great lengths to defend oppressed groups against discrimination, stereotyping, and simplistic representation are perfectly willing to employ those same tactics against their villains. Villains are denied their basic humanity. I’m not a fan of Donald Trump, but as a human being, he suffers. In fact, something the Dalai Lama wrote about compassion sticks in my mind. I’m paraphrasing, but he basically says that compassion for our family and friends and those we identify with closely is easy, almost built in. Compassion for our despised Others is harder, and perhaps a more true test of one’s compassion. So I deal with this tragedy in fairly predictable ways. I read about it until that becomes too unbearable, and then I distract myself with games. I have flashes of anger against things people are posting, but those quickly turn to sorrow. I write about it, draw on intellectual resources and theory, which ironically provides comfort. I hug my kids more. Sometimes, there are advantages to having autistic children; my kids are unaware of the shooting. I feel tempted to lash out against Facebook postings that cause me anger. I feel it is important, though, not to add more aggression to the world right now. Another myth says that eye contact means you’re paying attention. We all know that’s a bold-faced lie. How many times have you been at a meeting staring at your boss, and not hearing a thing he’s saying? Why do I have to look at someone to understand what he or she says? If Mrs. C. had ever paused to ask me what she had just said, I could have repeated it verbatim — plus the five things she had said before, plus what Bobby and Janie were doing to my left, plus describe the stain on the carpet to the right, plus voice my opinion about the ugly yellow dress a girl in the back of the room was wearing. ADHD isn’t a deficit. I pay attention to too much. I’ve spent the past eight years now reading about ADHD and comparing the differences between what specialists in the disorder say and what the public hears. Researchers, practitioners, advocates for helping children and adults with ADHD tend, when they speak about the disorder, to be shouting into the wind, their words quickly lost in the storm of sensationalism, irrationality, and unavowed prejudice that’s unleashed at the mere mention of the diagnosis. Indeed, I’ve come to think that the discussion of ADHD in our country has now reached a level of hysteria we haven’t seen since the debate over working motherhood in the late 1980s and 1990s. What dyslexia and ADHD look like in adults and college students. What dyslexia and ADHD look like in adults and college students.. So I teach writing at a university, and I’ve been teaching online classes for a decade now. When I started to teach a good chunk of my courses online, I thought it would be great. I get nervous in front of a class, so I felt eager to try the online experience because there would be a buffer between my students and me. (When I felt the worst in the early 2000’s, I had a hard time cranking myself up enough to get to the classroom.) I thought I would be able to calm down and work methodically and steadily at teaching online, despite a lifetime of evidence to the contrary. I don’t work methodically/steadily/calmly at much of anything besides gaining weight and getting older. It turned out the buffer kinda made things worse. For all the eye-popping anxiety I experienced in the classroom, the structure motivated me enough to produce at a competent level. Despite my ineptitude and my constant fear of the pink slip arriving in the mail, I managed to earn tenure even though my “tenure track” period encompassed the worst of my anxiety. My performance, though seemed to suffer most in the online teaching arena. I had the worst sort of annoying ADHD habits: posting course materials late, not returning email, having to rewrite the course schedule halfway through the semester because I messed things up so much. The problem stemmed from grading papers, the writing teacher’s burden. I had always been bad at grading papers. I would put them off as long as possible and them do them all in a big crush of work when it was no longer possible to delay. I was much worse in the online environment because I never had to face anyone. In graduate school, when I only taught one or two classes at a time, when I got behind I would just walk to campus, grade papers all night, sleep in the faculty lounge for a couple of hours, and then teach class and hand back papers and go home and sleep the rest of the day. I tried everything to grade faster: rubrics, recording audio, a complicated rewrite/revise/rest grading system, holistic grading, colored pens, macros. Usually the results were predictable: a new system would work for awhile, but then I would start to procrastinate and get disorganized, and my here-I-go-again attitude would surface and I was soon doing everything possible to put off grading papers. You would think that I got some satisfaction out of not grading papers, that the procrastination was to do something fun. Instead, though, I constantly worried about grading while watching TV, reading catalogs, and playing guitar. The ratio of time spent worrying about grading vs. time spent actually grading would be something like 100 to 1. My career-change plan stalled, and thus I would be grading papers for the foreseeable future. Also, my supervisors were finally starting to get wind of this problem. A couple of years ago, an old friend from graduate school became my boss, and on his first day on the job had to field a complaint about me. I resolved to change, as I had resolved a thousand times before, but I tried something I had never tried before: the grading conference. I had usually held conferences (one-on-one meetings with students) to go over drafts of their work with them. I learned to teach that way from the beginning in graduate school. In my instinct to shy away from students to protect myself I had cut out conferencing altogether, with bad consequences; I never got to know the students, for example. My thought was to go the other direction, that actually grading student papers with the student at conference time would force me to get it done. It would be time consuming, it would be anxiety-inducing (grades are a touchy subject provoking nervousness and defensiveness), but it couldn’t be worse than being a mess of a teacher that I was. It was hard. I had to be able to focus for hours at a time. 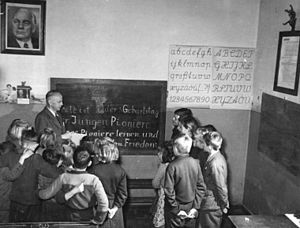 Each class had up to 23 students. I did two classes of conferences every single week. If I did 20-minute meetings, that meant 15 hours of conferences every single week, not to mention all the scheduling, planning, and rescheduling. “How do you get anything done?” some colleagues would ask me. It’s the only way I got things done. But I still had the problem of the online classes. I couldn’t meet with students in person. In any semester, I might have students from California to Maine. I had been experimenting with SecondLife and attending the poetry scene there. I would go to virtual poetry readings in a 3D environment. I thought that there must be some way to meet students like this. SecondLife requires too much hardware and too much of a learning curve to require it of my students. But some of the professional conferences I attended started to move to the web conference format. 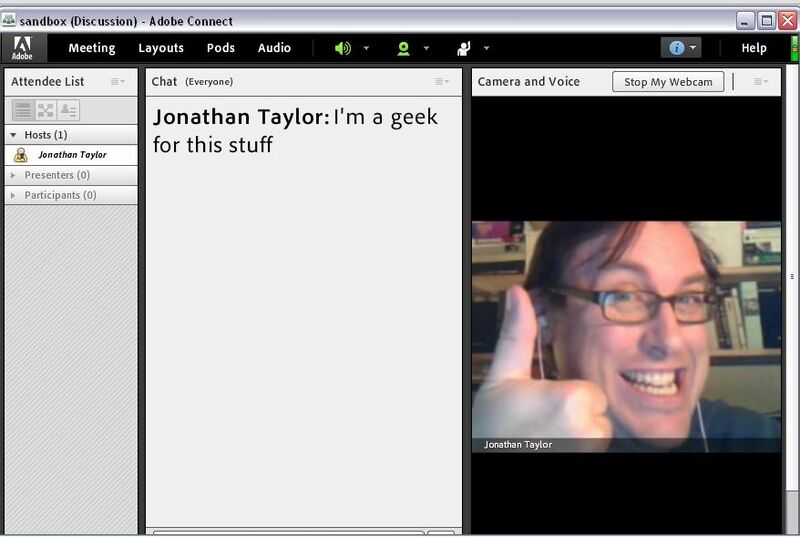 When our university bought a license to Adobe Connect Pro, I decided to give it a try for online conferences. Holy beans, did it change my online teaching! The f irst, obvious benefit was that I got my grading done on time. But secondary benefits evolved as well. I found myself actually looking forward to online classes. I had renounced them totally for a time, but to guarantee myself summer employment (because of my other ADHD symptom of not managing money well), I had to teach online. Last summer I willingly taught a fully online schedule. Another benefit is that my attitude toward online students changed. Sitting around at a meeting recently, I heard a familiar conversation: faculty griping about their online students. They’re demanding. They’re rude. They’re selfish. They don’t read instructions. And so on. I used to think those things too, but now found myself having real affection for online students. When I talk to students, I often ask them if they’re having any problems with the course or the technology. Most of them say no and tell me what they like about the course. If there are problems, I can usually fix them right away too. The compliments put me in a better frame of mind, because I am oh so vain. What has really happened, I think, is the collapse of the emotional distance between the students and me. I often hear students say something like “It’s good to feel like there is a real person teaching this course.” I’ve known about the concept of online presence for awhile, and there are techniques for creating strong online presence without live conferences, but I was never able to keep up with them. Perhaps most important is that the writing is better. Students get more and better help from me. I honestly started doing conferences for selfish reasons. I just wanted to get the freakin’ work done. However, the practice has helped make the quality of my work so much better. Now, I don’t mean to say that my teaching is entirely blissful. My brain still uses mood and energy against me. I still get bit crabby on the way out the door (or into my study in the basement at home) to face a bunch of conferences. I still have these monkey mind scripts playing in my head: I don’t want to do this today. I’m too tired. It’s been a hard week. I deserve a break. But after I do one conference, just one, even if it doesn’t go very well, my energy level picks up. In fact, sometimes, I can say to myself you’ll feel much better once you’ve started and get myself going fairly easily. Not often, but sometimes, which is way more than before. Finally, for the first time this year, when I prepped for this semester, I had high confidence in my ability as an online teacher. I knew that I would sometimes be slow on email or post something late, but I believe in my fundamental teaching ability. It’s only taken seventeen years to get here. So far, this blog is a lot about me, about navel gazing and being goofy. This anniversary is not about any of that. When I see reminders of that time, they pierce that everyday shell of apathy, worry, and egotism.